Glad to hear the crew are alright. Shaken not stirred, I guess! The photos make it look horrendous but at the same time you realise how much worse it could have been! Gulp! Seriously, did no-one spot the car-sized gap in the fencing by the bridge?! Thanks for sharing - and drive safely guys! 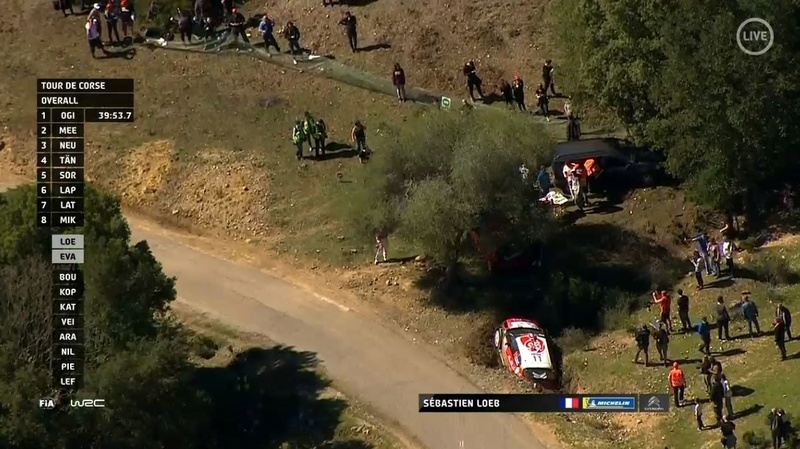 Ogier well up on Loeb after the long opening stage. Kris down in 4th. Being first on the road really helping the Ford as lots of crap being dragged onto the line. Keep on track Ogier! Need to resolve the oversteer problem before the next event. Don't think we can blame Kris for this one. Not a very good weekend for Citroen.